If you like R&B your going to love Tramps Juicy Fridays. Every Friday in August, Tramps brings you the very best that Tenerife has to offer regarding R&B nights with a host of the islands best R&B DJs performing at Tramps in the main room. 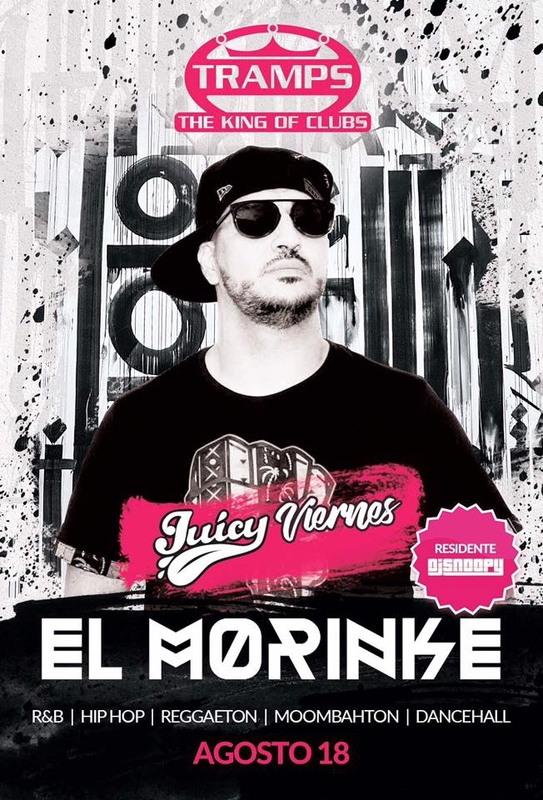 August 18th sees DJ El Morinke join us for an unforgettable night of R&B, Hip Hop, Reggaeton, Moombahton and dancehall music.